The Adidas Professional Focus mitts is manufactured from leather and has heavy padded EVA foam. The palm features moisture wicking, super absorbent, quick drying, anti-stick fabric. The mitts has a finger shield with climacool top and wrist hook and pull strap with Velcro. 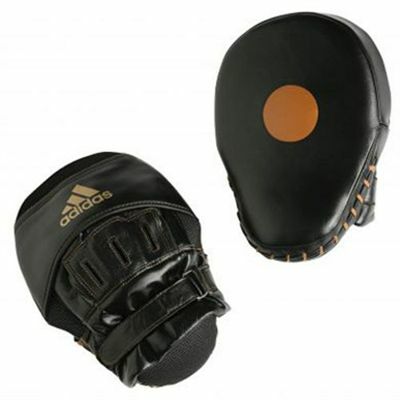 for submitting product review about Adidas Professional Focus Mitts.